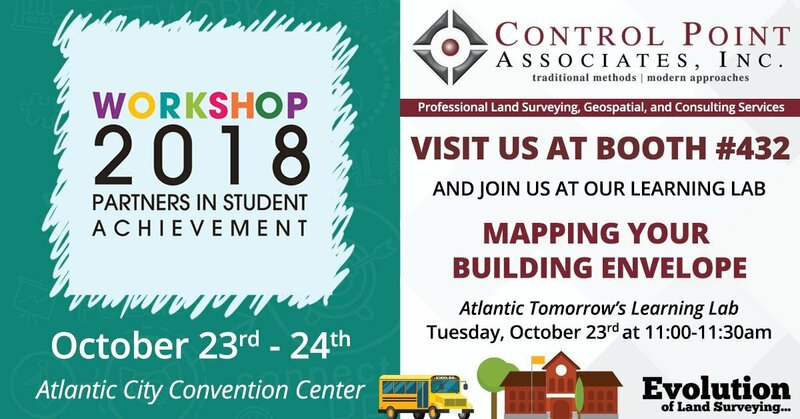 Control Point Associates, Inc. will be exhibiting at the NJSBA Workshop 2018 October 23 & 24. Come visit us at Booth #432 and attend our presentation “Mapping Your Building Envelope”, being presented by Ken Stigner and James Conway. Check out some of the work we’ve done for educational institutions by clicking here.